“A spectacularly vibrant Vincent van Gogh painting was unveiled today at the National Gallery of Art in Washington after going private nearly 50 years ago. I actually adore this painting; the blues and greens combined into an excellent group of harmonious colors. And I’m amazed at the way the change in style from small raked lines in the grass to larger swirls in the sky is an excellent contrast. 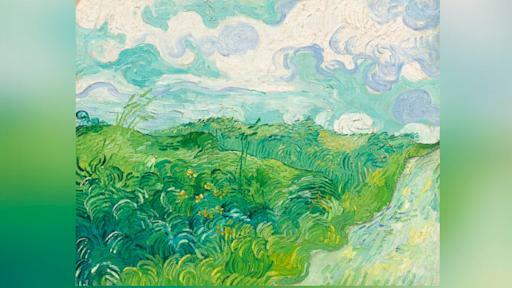 This is probably one of my favorites of Van Gogh’s works.